Nikon is the latest big-name camera maker to offer a mirrorless interchangeable-lens lineup. Here's how the new Nikon 1 J1 camera held up in our hands-on tests. 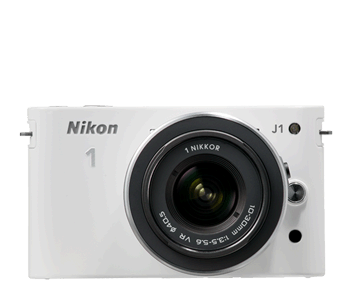 Theano NikitasWith the announcement of the Nikon 1 series of compact interchangeable-lens cameras, Nikon became the first of the “big two” DSLR makers (the other being Canon) to introduce a mirrorless-system model. Rumors and a countdown clock amped up the excitement surrounding Nikon’s camera announcement, which finally happened in New York earlier this week.